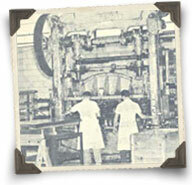 The company, now known as Graco, was founded during WWII, in 1942 to be precise. At that time, safety car seats were non-existent and not an issue either. Graco’s emergence did not change that at the time. The firm was manufacturing car parts and that course of action was kept up until 1953 when one of the founders left the firm. Graco did not start producing car seats immediately after that, however. It was still too early for them. But they did introduce a new product to the market, and that product was indeed a juvenile product. Rather than a car seat, that was the first wind-up infant swing, named Graco Swygomatic. The success was beyond the most optimistic estimates. The second popular product of the firm was the Portable Playard. It was what brought Graco even closer to safety car seats for children. However, the first time when Graco truly came to car seat production was 1998. It is curious that Graco was the first company to introduce travel systems. In a way, without Graco there might be no true car seat and stroller combos, at least, no combos where the seat could be easily strapped onto the based already installed in the vehicle. Now, though, travel systems are used and produced universally. Yet, Graco remains a leader in this sphere. 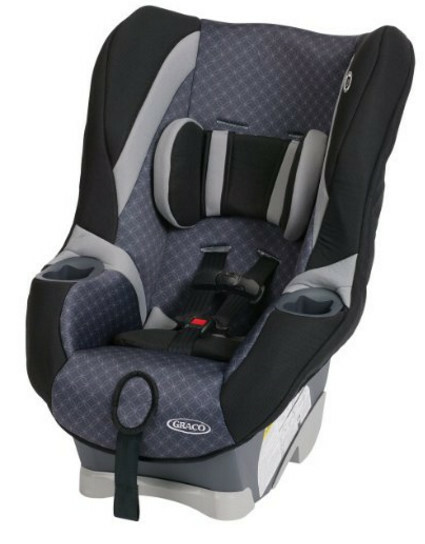 As of today, Graco manufactures several car seat types that are different from the average convertible seat as well as from typical infant, toddler, and booster seat. Those include car seat travel systems, 3-in-1 car seats, turbo boosters. The non-car-seat assortment includes strollers which, incidentally, can serve as part of a custom car seat travel system or car seat and stroller combo, high chairs for children, playards (although they do not come with mattresses) and baby swings for the mother’s convenience. But the products Graco is best known for are all-in-one car seats. Those seats are also generally cheaper than those other companies come up with. 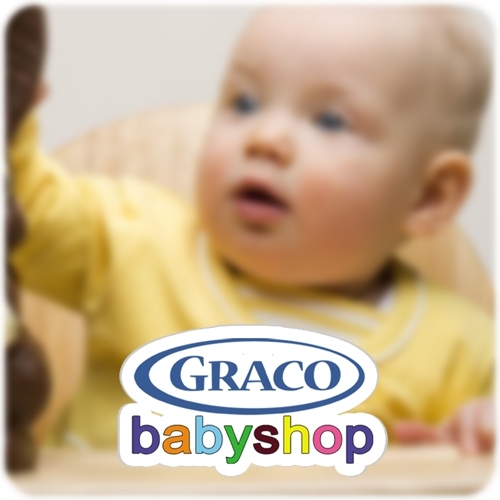 Graco does not have a specialization per se but they do have an outstanding tradition of quality and functionality. Their designers and engineers do their best to keep the design of their car seats innovative and up-to-date at the same time. Since they were first to introduce car seat travel systems, Graco is one of the leading firms producing them. The My Ride 65 LX is a relatively convertible car seat. Two modes: rear-facing mode and forward-facing mode, nothing unusual about that. The weight limits are also within the norm: from 5 up to 40 lbs in the rear-facing mode and between 20 and 65 lbs in forward-facing mode. It is a very good car seat, quite safe and comfortable for the child. However, the My Ride is also a good example of a less than convenient car seat. It may be frustrating for the parents to deal with this particular seat. The seat lacks quick adjustment of the shoulder straps. The adjustment process is suboptimal. Nevertheless, such a structure allows building a cheaper seat, thanks to which the My Ride is not expensive for a convertible seat and is, in fact, cheap. As for the safety features, the My Ride is not lacking. It comes with energy-absorbing foam layering, LATCH-connectors, and side-impact protection that has been thoroughly tested. Along with the side-impact tests, the My Ride seat has passed all the federal examinations and been found to meet or exceed the criteria of their requirements. The main advantage of this seat is its relatively low price. The My Ride 65 is still a safe seat, it is easy to clean although it is not very easy to readjust. All in all, it is an inexpensive purchase that might be the best bet. A very cheap booster, the TurboBooster is the best choice if your goal is to save money and keep your child safe. The TurboBooster is a no-harness booster and can only be used for older children. Nevertheless, you will find that the weight limits are quite generous for a booster, the lower weight limit at any rate. While the TurboBooster can only accommodate children up to a hundred pounds in weight, the starting point is 30 lbs in high back mode, 40 lbs in backless mode. This seat has been tested by the Insurance Institute for Highway Safety and was declared a Best Bet after their evaluation process. A Best Bet booster car seat is a booster that any child can use safely, regardless of their weight and height and body structure, as long as their weight and height are within the limits. 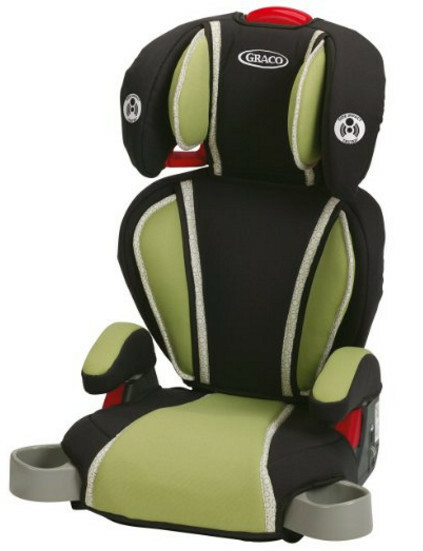 The seat allows children buckle themselves, a feature many boosters lack. It makes the TurboBooser an even better choice than the entirety of its safety precautions alone do. The TurboBooster is a padded comfortable seat that has been tested for side impacts and is considered quite safe. But the most important feature is that it is inexpensive. This seat would cost you very little compared to other car seats presented here. As a three-in-one seat, the Nautilus 65 is one of the products Graco takes pride in. it is one of the car seat types that can be tentatively called their specialty even though they do not actually have one. The Nautilus 65 has a 5-point harness which is expected from any decent car seat that actually has a harness. But its best feature is that it can easily withstand peak crash force of approximately 2X car seat standard. Of course, the seat shell itself is capable of surviving that, too, all the while protecting the little passenger from harm. Some might find an all-in-one car seat suboptimal compared to a set of three seats that belong to individual types, however, the difference, while there most certainly is some difference, can be neglected easily. Mostly because this seat’s lower weight threshold is 22 lbs. The Nautilus, while dubbed as “3-in-1” is, in fact, a combination seat. The reason it is a three-in-one car seat is that it has the high back and the backless mode. It is relatively cheap for a combination set such as this and can be obtained for a relatively moderate price. You will find that it has been tested for side impacts and extremely low temperatures. The fact it is reinforced with a steel frame also helps. 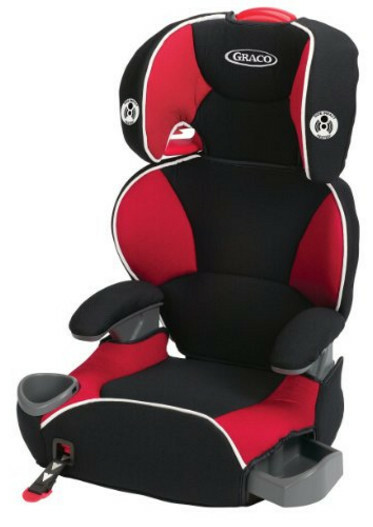 The Affix Youth is a booster-only car seat, although it does have two modes: the backless mode and the high back mode. In the backless mode, the Affix Youth booster is perfectly capable of accommodating relatively tall children, even those of them for whom the high back mode is less than adequate. That said, the high back mode has an advantage. In that mode, the booster can be used to position the shoulder belt as well as the lap belt, whereas only the lap belt can be properly secured in the backless mode. The proper position of either belt is quite important. Improper seat belt position can lead to injuries, including lethal ones. But high back or no high back, the Affix Youth car seat is estimated a Best Bet as per the IIHS Evaluation. A booster safe for any child regardless of the vehicle it is installed in. The seat comes with a thick layer of energy-absorbing foam and easily adjustable headrest. It is very easy for its passenger to buckle up. A very good booster seat to put it short. It would cost you relatively little money. The seat may not be the cheapest one there is but what it is is one of the most cost effective. The price and quality ratio is simply admirable. Besides, this seat is ultra-lightweight. This seat is known as a 4-in-1 car seat. That is per Graco’s naming system. Most other brands refer to seats such as this as 3-in-1-s or all-in-ones. Graco, on the other hand, tends to separate as many modes as possible, based on all the possible states the car seat in question can have. 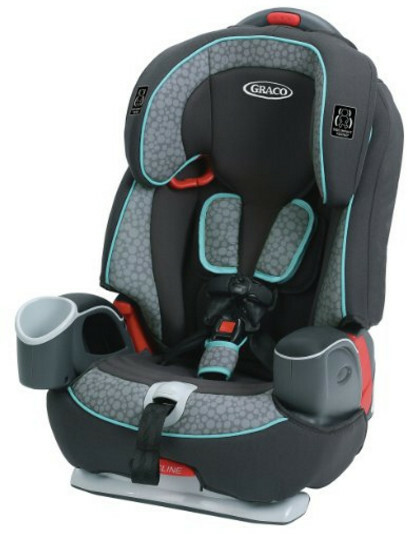 Either way, a 4-in-1 car seat by Graco’s classification is a car seat that can be used as an infant seat, toddler seat, backless booster, and high back booster. The weight limits are very generous. 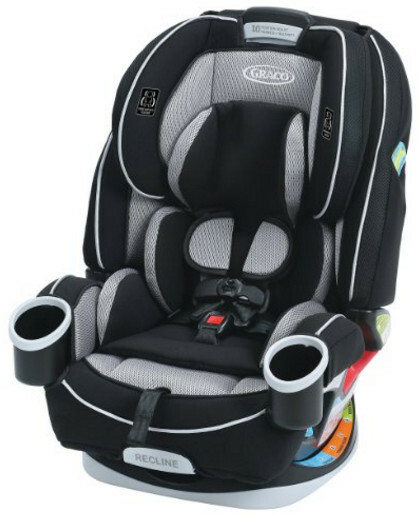 Unlike most Graco boosters and combination sets, the 4ever seat can accommodate children from 4 to 120 lbs. This is quite a lot. In fact, this seat can be used to carry underweight children, as long as they are not medically fragile. If they are, we strongly recommend using a car bed instead after consulting your child’s doctor. Typically, Graco car seats are cheap but functional. This seat is quite expensive and would cost you a lot. However, the 4ever seat is much more durable than a typical Graco seat and possesses extra features not present in other car seats. The seat comes with Advanced Side Impact Protection that has been tested and found to exceed federal standards twice over, sophisticated cup holders and storage compartment, InRight LATCH, and multi-position headrest and recline. The easy-to-read level indicator facilitates installation immensely, whereas the seat cover that comes with the 4ever seat is machine-washable and easy to remove, prior removal of the harness unnecessary. While the seat is expensive, the 4ever is the best seat Graco has come up with, primarily because it really is a “forever” seat. This is the only seat your child would ever need. The seat does not expire before you have the chance to use it, and that is a good outcome for many parents. 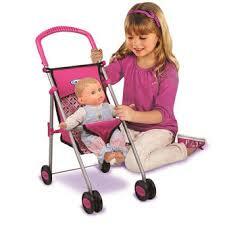 Let us also not forget about the safety features and the comfort adjustments available to the child.